How to exploit imbalances in chess? Today we’re going to talk about a very interesting topic: exploiting imbalances (weaknesses). 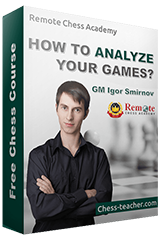 Most often, we don’t know how to think or handle such situations during a chess game. Our guest coach, IM Valeri Lilov, will teach exactly that, by showing a game between Magnus Carlsen –who, he believes, succeeds in exploiting the opponent’s weaknesses perfectly– and Fabiano Caruana. 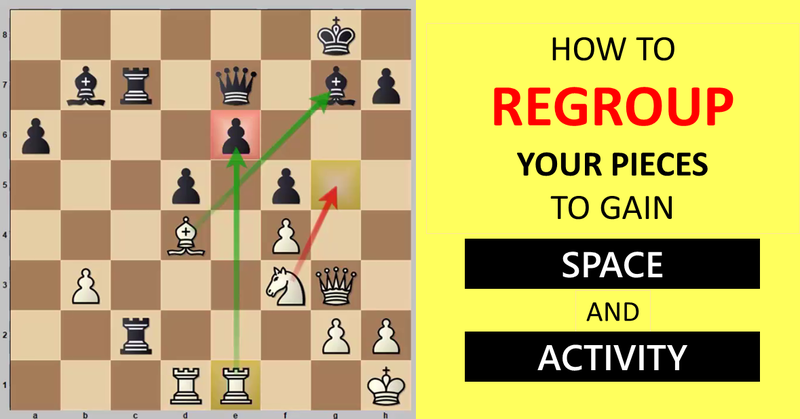 In this game, you will learn how Magnus neutralized his opponent’s play power, making sure to gradually build the position by regrouping his pieces, gaining more space and, most importantly, transforming the advantage when there is an opportunity to increase the pressure and there is a good follow-up. 1) It all begins with figuring out how to develop better and create an imbalance later. 2) Maneuvering and setting up your pieces is essential, so you can be in a good position to attack. 3) Converting the attack by opening the position and/or by carefully executing the required tactical moves. P.S. I’d like to remind you of our new e-book “How to Succeed in Chess?”, where you will find all of our best lessons about succeeding in chess, so that you can directly spend your time and efforts wisely. Download it for FREE now! Well, I’ve released my course ‘Play like Fischer’ at the beginning of this month. In general, nowadays I rather supervise the work of other RCA authors. This way we can prepare more lessons. Also, students may learn some new ideas from RCA new authors. Thanks for your comment, Mohammed! I have sent the e-book link to your e-mail. Please check your spam folder. Since e-book request is working. dear sir i checkout simon channle on youtube why do igor didnot try to play standard 15 10 selcond increment games on lichess or chess.com website and then uplaod the vidoee by explaing his thought process during the game live it is very interesting he can get lot of sucriber and money throughouth this and people always like to seee that one?? dear igor tanks for the lesson but if you made this one lesons this it would be more fantastic sir lilov is a good teacher but he talks too much as doestnot explain clearly your new course is just brilliant i had watched it several times. I’m so happy to know you enjoyed the course ‘Play like Ficher’! Watching the lessons several times is a great way to learn it deeply. Keep up your serious study, and your results will progress steadily! yese yes right sir yesterday a chess champpionship is begun of chess.com betwwenn im yaccob norwitz vs kmodo latest version and 2 had been palyed last day and game one was drwan it was an odds match very interesting what do you think sir thanks. Yes, It is interesting to see humans play against chess engines with material odds. We will consider your suggestion. yes right thansk alot sir world cup final is begun betwen lrien drieng and levon aronian what do you thnikwho will win sir. Aronian is the favorite in this match. In the 2nd game he was dominating, even though it was drawn, Hence, my stake is on Aronian. At the same time, sometimes Liren demonstrates outstanding tactical skills. That’s why he has a hope for a ‘lucky punch’.